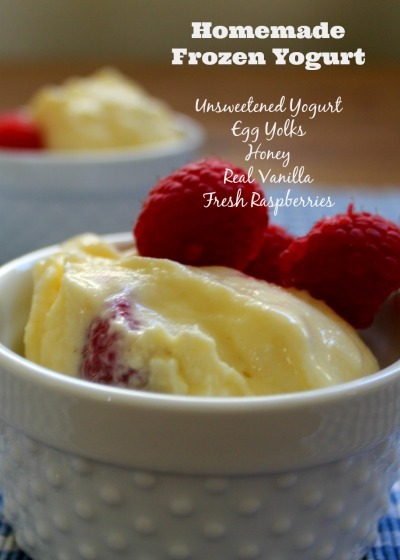 Creamy probiotic-rich yogurt is combined with nutrient-dense egg yolks, sweet honey, and pure vanilla for a nourishing treat that everyone can be involved in making. While I prefer minimal equipment in the kitchen, an ice cream maker is something I value for all the fun and deliciousness of ice cream without the refined sugar. 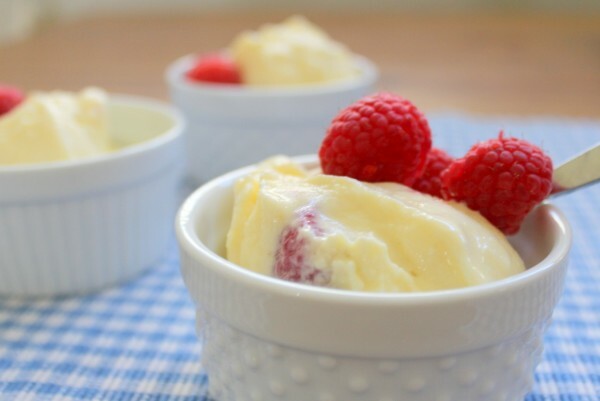 Making ice cream is so easy that it’s sure to become a lovely tradition in your home. *Coconut milk (2 cans) can be used in place of the yogurt with excellent results for those who wish to. Combine yogurt, egg yolks, honey, and vanilla. Pour in yogurt mixture and allow ice cream maker to work for about 20 minutes. Use a spoon or fork to get ice cream moving again if it stops before reaching desired consistency.